Lancaster is a fantastic town with two universities, plus colleges and schools. As a result numerous restaurants, shops, attractions and salons offer student discounts. You can get the Purple Card, the NUS card, plus several discounts unique to organisations or companies, such as our Mighty Card. There are also discount cards (listed at the end) available to anyone living in Lancaster - they’re totally worth getting, and are cheap or free. Just remember that most discounts can’t be stacked - they are provided on a ‘not in conjunction with any other offer’ basis. Free food at McDonalds when you purchase a medium meal. Lancaster is home to many of the usual high street shops, like Topshop and Accessorize, plus fashion boutiques like Renes-Lapelle and amazing consignment shops like the Exchange. There are also a variety of outdoor goods shops and places to get art supplies. Several shops in Lancaster offer discounts with the main cards, and their own loyalty cards. Their individual cards often offer exclusive deals and special occasions such as after hours shopping. You can great discounts at salons across Lancaster, for all your hair and beauty treatments. Often extra discounts are offered in the run up to Christmas, or just before prom season. Men are catered to as well, with great barber shops and even 20% off beard care products at Beard Brothers. Save £5 on certain treatments at Simply Beauty. The Visit Card (which can be picked up free at any visitor centre) gives you discounted access to Williamson's Park, Lakeland Motor Museum, GB Antiques Centre and Old Holly Farm. The Local Residents Card (free on application) gives you discounted lake cruises in Windermere and access to the Lakeland Motor Museum.  Do you offer student discounts? Let us know and we'll update our post! This entry was posted in Guides and tagged on 6 October, 2016 by Graham.